Throughout FC Barcelona's 119-year history, more than 2,200 players have pulled on the Blaugrana shirt. 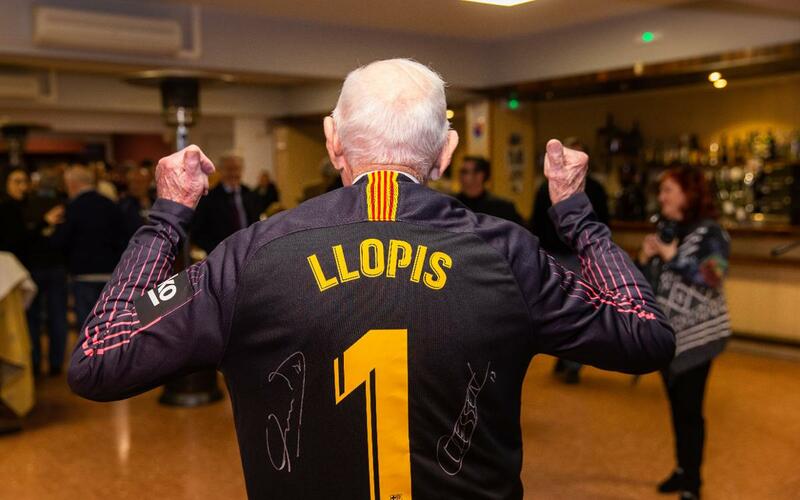 The oldest living ex-player is 102-year-old Juan Bautista Llopis Llopis, and he recently received a homage from the club. 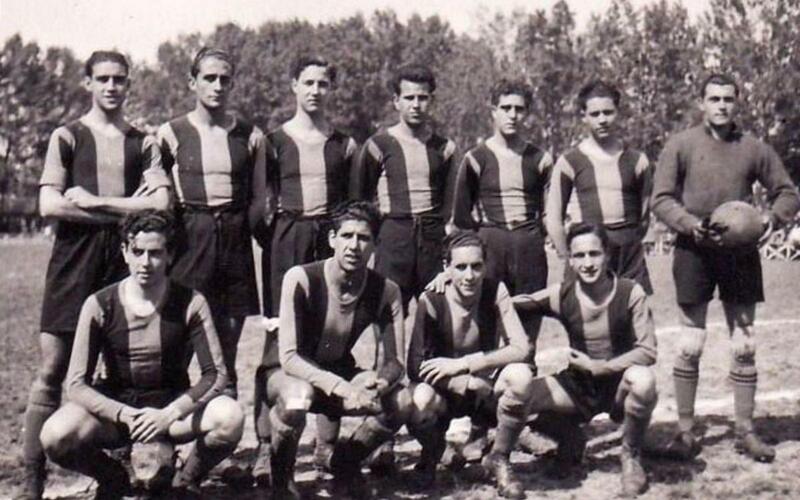 The son of citrus fruit farmers and a football fan from a young age, he played for Barça between 1941 and 1943. Used as a goalkeeper, he signed for Barça Amateur, the non-professional side that the club had at that time, as a result of some impressive showings during his military service. He would feature in a total of six friendly games in two seasons. However, he would not make an official appearance for FC Barcelona, as he faced tough competition from Lluís Miró, Argila and Pepe Nogués. Llopis was also obliged to play for the team in the Cuarta Region of the military league. 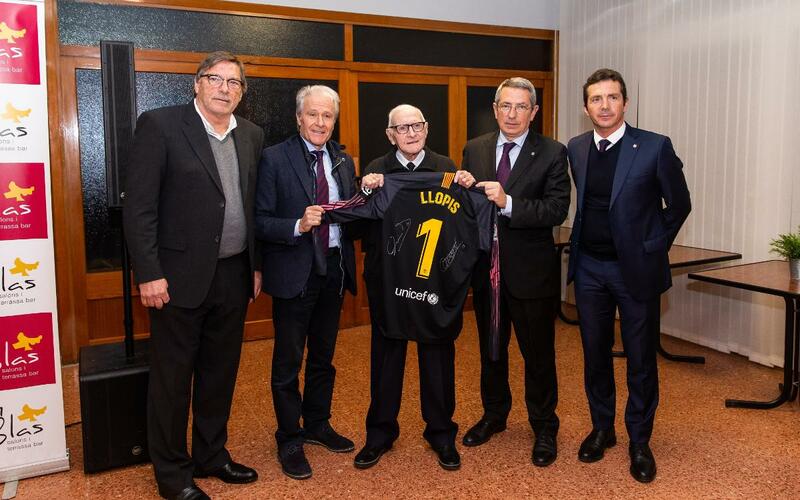 Nearly 76 years on from his last game for Barça - 24 January 1943- Llopis received a tribute from the club. FC Barcelona, ​​through board member Pau Vilanova, sent him an invitation to watch a match from the VIP box at the Camp Nou. Llopis accepted the offer, although he said that he would attend a game when the temperature was a little warmer than in the Spanish winter. An event organised through the Federación de Peñas de Valencia y la Marina Alta, before the Levante vs. Barça game in the Copa del Rey, saw Llopis presented with a shirt bearing his name and signed by current first team goalkeepers Ter Stegen and Cillessen. Also in attendance was Guillermo Amor, Agrupación Barça Jugadors president Ramon Alfonseda and former player Migueli. Llopis enjoyed the recognition given to him by the club, and shared anecdotes with those present. He is just another example of the long history and personable characters who have spent time at FC Barcelona. Want to know more about the history of FC Barcelona?